Solid e-book design can transform the content in its pages. Great designers can turn a boring cover into a stunning piece, a cluttered layout into a visual treat—and that can go a long way. Good design makes the content more visually engaging. It makes the info easier to consume and synthesize. These subtle tweaks improve the readers’ experience, and that reflects well on your brand. If you’re facing an e-book design project and need a little design inspiration, we have just what you need. Here are five great takes on e-book design, from great covers to stand-out data visualization. Enjoy. We’re suckers for a bold visual, and this e-book cover hits the mark for several reasons. First, it’s a clever, on-theme visual: the literal secret sauce (bonus points for making it the only bottle with a label). Second, its clean, bold use of photography really pops (especially in the marketing/business landscape). Third, it follows LinkedIn’s brand identity. The bright blue (a visual differentiator) is the brand’s signature color, while the tasteful typography keeps the look clean but presents the subject in a straightforward manner. When you’re looking to make an impact, a visually arresting cover is the way to do it in an instant. While a cover is incredibly important, maintaining a design aesthetic throughout an e-book is equally as important. LinkedIn decided to promote the e-book by creating an infographic, which also carries the same visual theme. A+ all around. A great e-book can stand alone, but introducing readers to it in a different style of presentation can really make an impact. For Appfolio’s U.S. Apartment Forecast report, the brand created an interactive microsite to tease the e-book before you download it. One of the best reasons to create a hyper-visual e-book design is to help make confusing concepts, dense information, or hard data easier to understand. Data visualization is a great way to do that. It does the heavy lifting, helping bring more clarity to certain insights, and it helps break up your e-book design. Everything from color and font to imagery and logo placement should be dictated by your brand’s style guide (where the guidelines for your identity live). In this brochure, made from a Google report, the brand worked with its iconic red, yellow, and blue palette to create a slick piece of branded content. The blue base is perfectly accented by pops of yellow and red, giving the piece brand personality without distracting from the content. 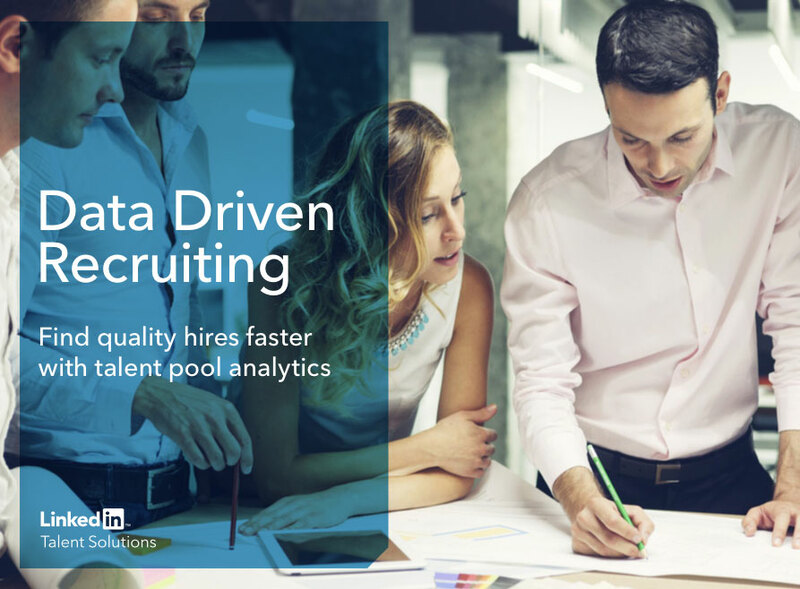 LinkedIn makes the list again with their Data Driven Recruiting e-book. To reinforce the theme of employee recruiting, they added a human element to the design by including bright, high-quality images of people working together. Along with the human-heavy photography, the tasteful addition of clean graphics, including data visualization and additional elements, the design is comprehensive but not cluttered. Find out why e-books are such great tools for conversion. Learn about the keys to making a truly awesome e-book. Avoid these 8 design mistakes in your e-books. If you don’t want to go it alone, we can also hook you up.